When you fire up the Bethard site you are likely to be greeted by a large image of Zlatan Ibrahimovic, the former Barcelona and Manchester United striker. ‘That’s a big strange’, you might think, but actually Zlatan is a brand ambassador for the firm, which is a marker of their ambition. 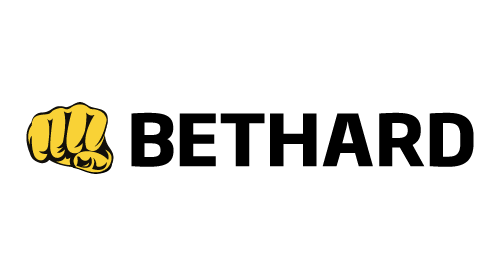 Bethard started life as a sportsbook and, having gained a license to operate in the UK, they have since expanded their operations to offer a casino and live casino channel too. This is a one-stop shop for all your betting needs, with a huge range of sports well covered by comprehensive market depth. Let’s get things started with the sportsbook, which offers a huge number of sports to bet on. You will find all of the key markets well catered for across football, horse racing, tennis, basketball, American football, rugby, motor racing and much more. If you fancy a flutter on chess, trotting, futsal or speedway then Bethard has got your back! The ‘splash’ on the Bethard homepage reads that ‘in the world of high odds, we’re number one’, and it's hard to argue with that sentiment. Load up an odds comparison site, analyse Bethard’s odds on key football and tennis matches compared to their rivals and you will note that they rank very well in terms of their generosity. If you're looking to maximise your betting profits, this is a good place to start. The firm’s casino is well-stocked with slots, table games and a variety of live casino offerings. With leading software developers like NetEnt, Quickspin and iSoftBet on board, it's clear that Bethard has the end user’s experience in mind when developing their site. You could argue that the sportsbook remains Bethard’s key focus, hence why they have brought Zlatan and a range of other professional sportsmen and women on board. But their casino platform is also stacked with classic slots, the latest releases and those timeless Vegas favourites, so we can recommend Bethard to any punter who likes to switch between sports betting and casino gaming. There is a cracking collection of bonuses and promotions available across sport and casino, with daily price boosts and enhanced odds offers ensuring that a daily trip to Bethard is well worth your time. It’s not an easy thing to do, but Bethard seem to have pulled off the fine balance of being a ‘dual operator’, with both sports and casino taking pride of place at the heart of the brand’s ethos. Ranking Horse Racing’s Triple Crown Winners: Who’s the Best?